Hey everyone, I have the Sansui A-505 IntegratedAmp (part of a complete component set ie...cd player,cassette,turntable,radio etc) paired to 2 sansui s750 speakers 28.5 inches tall and 14 inches wide each. Only the amp and speakers are connected as the other components are sorta "outdated". so what happens is i connect/wire the speakers (i believe theyre called "powered" as they have no plug or internal amps) to the amp and connect my xbox/phone/laptop or w.e is playing the sound to an adapter which then plugs into the amp's tuner rca ports. My problem is Im sure Ive fried the amp (dont know how bad) but when i was younger one side produced much weaker sound so I intertwined the left and right speakers and ran them both through one side (stupid i know). It worked for a good while but fried after (makes continuous buzzing sound when amp is on and speakers wired in). I didnt mention repairof the amp as I live in Jamaica and labor/parts/experts in this area is limited and probably expensive. im trying to find the best replacement amp for the best price...it will be mainly used in one room (mainly for music but also gaming and movies) but i like my music loud and bass kicking, and the old amp definitely delivered excptionally imo. any real help would be greatly appreciated! Last edited by Moses 876; 04-07-2014 at 08:51 PM. Pyle makes junk and you get what you pay for. What is your budget in U.S. dollars and we can make some recommendations. $100. the thing is the previous integrated amp did a wonderful job powering these 2 speakers. and in my gaming room (approx 10ft x 10 ft) it sounded amazing...especially the bass. things would shake lol and im sure my neighbours could hear it also. im not a sound expert by any means but id assume if this old (about 80s or so) amp from a component set (full cabinet with decks...cd on bottom, then cassette, then tuner etc and turntable on top) can do such a good job then a modern one should too..on the cheap. i dont consider myself an audiophile and dont require perfection. i just want an amp that can deliver, i dont need lcd display and a million features...just need to be able to plug my rca adapter into my laptop/mp3 player or what have you and get kickass sound. On that budget, I would recommend this Dayton DTA-120 digital T amp. 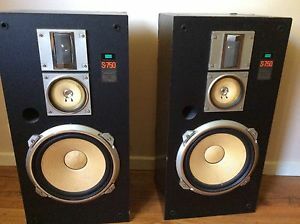 I have the older DTA-100a and drive a pair of Monitor Audio S1 speakers in a 17x17x15 bedroom. It is very dynamic with deep fast bass, a wide sound stage and good air and transparency. It sounds better than any of my 4 sub $1,000 receivers that I own. These little digital amps are giant killers. Read up on T amps. When you have multiple speaker connections the total power does not get divided between the various speakers as you seem to think. If you have a 120 Watt amp (60WPC) and you connect two pair of speakers, each pair of speakers is connected in parallel with the other pair. This means you have 60 Watts driving two speakers for each channel. It does not get divided between the two.